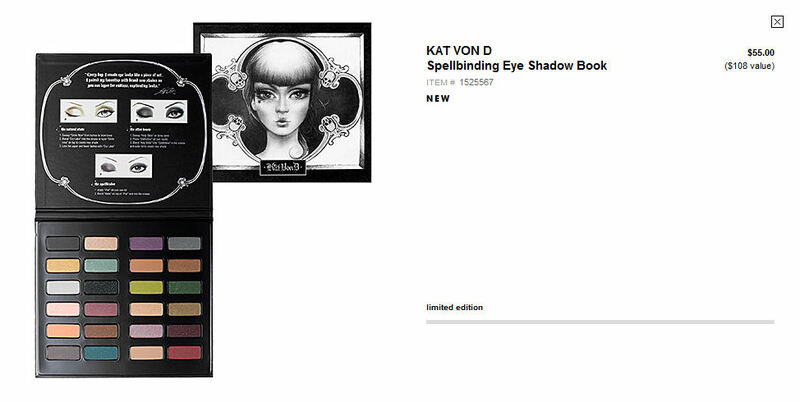 Kat Von D Spellbinding Eyeshadow Book! 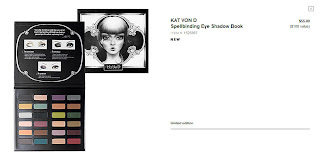 When I heard about this months ago, I just KNEW it was going to be the KVD holiday palette for this year. It is now available on sephora.com! Mine is on the way and I will do a first impressions video when I get it, followed by a full review on here after I've played around with it for a while. I am so excited! It's always fun when a new KVD palette comes out, but her holiday ones take the cake. There's also another lipstick set this year, but after buying the first two, I didn't get the 3rd and this will now be the 4th one - there's too many repeat colors in them for me to justify buying them over and over. But if you've never tried her lipsticks before, these are a great way to sample a bunch of colors and then you can pinpoint your favorites and get the full sizes later. Is there anything you guys are looking forward to for holiday makeup this year? All the sets are starting to come out now, it's my favorite time of year to check out the Sephora site daily! Most of my favorite brands usually come out with some really cool things. I am really wanting to order this! It is so worth it! It's nice and sleek, much smaller than the packaging on her past holiday palettes and it's got an awesome variety of shadows.